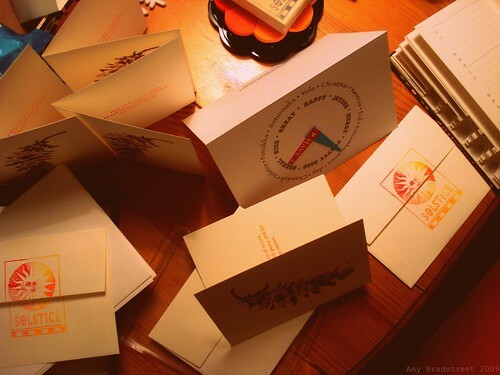 Yes, yes, we're cutting it close, tomorrow being Solstice and all, but we are regardless, getting our cards done today and in the mail tomorrow. So there. Some years we make our own cards, some years we never get them out at all, and other years, like this one, we find lovely or humorous cards created by local artists. When we stopped by Jess LeClair's table at the PICNIC holiday sale and found these wonderful cards, well, we knew we had to have some. Not only did the cards feature Yule and Solstice, but she had us at Decemberween. We asked--her eyes brightened, there was that moment of recognition...ah yes, we are alike. The same. A rare and shy species known as Strong Bad fans. So of course we had to send some of those out. 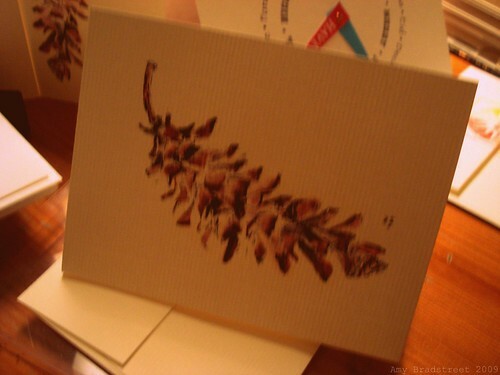 For those whom the whole Decemberween/Yule/day bit might be lost on, we sent out these simple and pretty pinecone numbers designed by a local charity. We stamped our favorite message, of course. 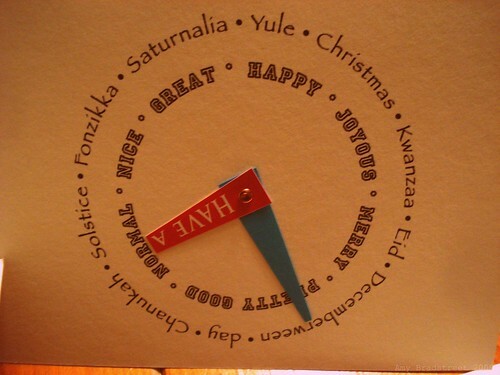 So the cards are done, and I'm checking that off my list, this here Day 5 of Yule. Oh, and Happy Decemberween to you and yours. Gosh, those cards a fabulous! I mailed out cards on Friday so I'm just a few days ahead of you.